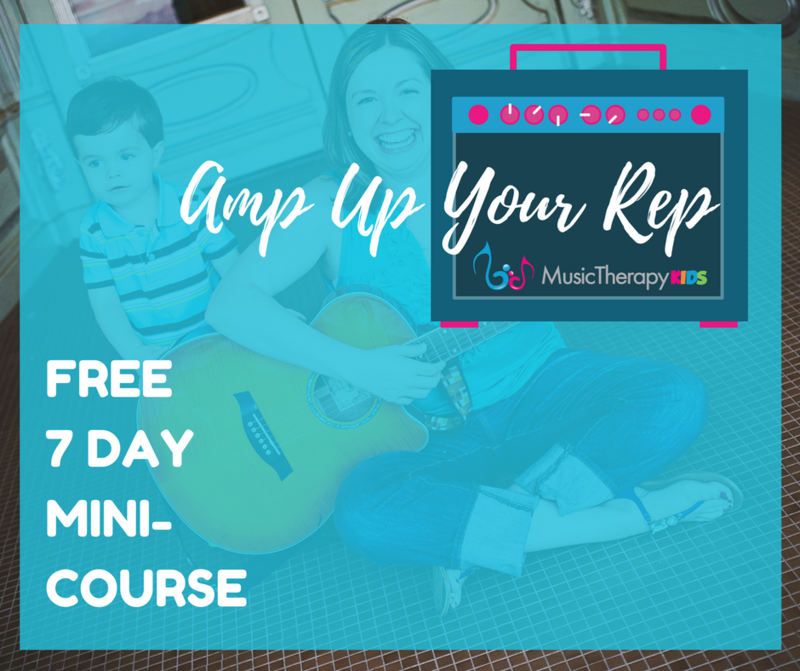 Don’t know where to get started with singable books? This list is child tested and approved! Click the picture to go right to the Amazon page if you are interested in purchasing. I am not an affiliate but want to make the process as easy as possible for you. 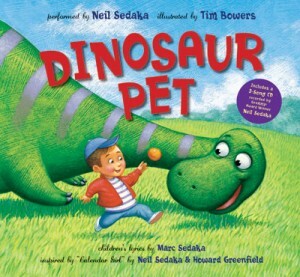 An adorable pet dinosaur grows bigger and bigger each month until he eats the family out of house and home, but nothing can come between a boy and his pet! 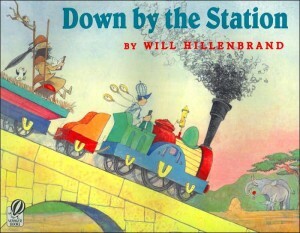 I especially like this book because of its catchy tune. Neil Sedaka has given new lyrics to his 1961 hi “Calendar Girl.” There are many opportunities for learning – identifying common pictures, naming the months of the year, and answering “what is he doing” questions. Best of all, it includes the CD. All of my clients LOVE this book! 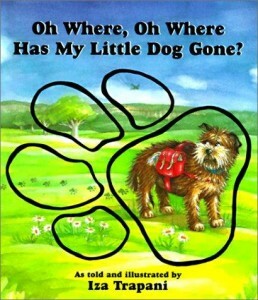 You have probably read this book to your child already at home. 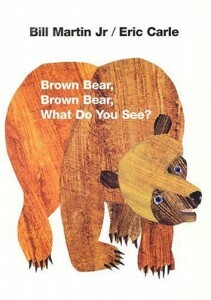 I love the boldly colored illustration’s by Eric Carle. You can easily promote colors, animals, and their sounds. Adding music is a cinch. Just use of the tune of “Twinkle Little Star” OR purchase the recording by ____link on iTunes or your favorite online music store. Another favorite, the tune originally made famous by Louis Armstrong, uses lyrics and illustrations to express the joy of beauty and harmony in the world. 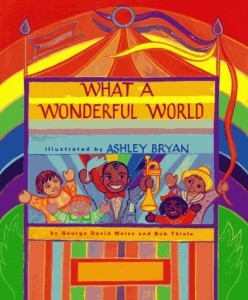 The depicted children from many backgrounds put on a puppet show throughout the book. You will have many occasions for identifying pictures, colors, and starting conversations about what makes the world wonderful for your child. I also like to practice shaking hands and saying “I love you.” on the corresponding pages during music therapy sessions. It also makes for an excellent lullaby or soothing song before bed. The music is readily available online. A super fun introduction to cars, trucks, planes, and things that move! The repetitive phrase on each page “I spy with my little eye. You can hear with your little ear.” gives your little one a chance to fill-in words and point to those body parts. 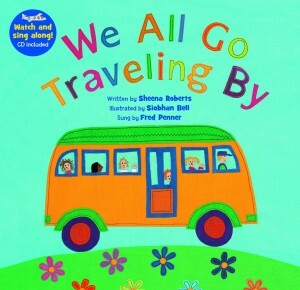 Children love practicing the sounds made by all the different modes of transportation. The illustrations are bright which also gives natural opportunities to identify colors. This book includes a dual music and CD-rom to listen or watch an animated version of the song. My son is currently in love with this book. It is perfect for learning zoo animals and practicing their corresponding sounds. An element of sequencing also comes into play as a new animal/sound is added each verse and you try to remember the order! Join these playful animals on their way to greet the day’s first busload of children at the children’s zoo! 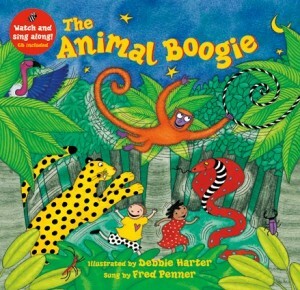 This playful book will help your child learn about different jungle animals and their actions like leaping, stomping, shaking and flapping. She will probably want to get up and “boogie!” which is a fantastic opportunity for movement. The accompanying CD includes music and an animated singalong to continue the fun! 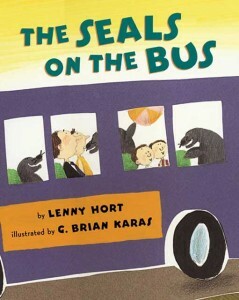 “Seals on the Bus” is a playful twist on an old classic. Exciting opportunities to practice making new, silly sounds are everywhere. See what the people do when more and more raucous animals hop on board! Singing this song is a piece of cake since the tune is so familiar. Just in case, here is a video to help you out. Link to youtube? After getting in trouble for eating a shoe, a little dog runs away! He has some not-so-great adventures with in the desert, sea, mountains, and a cave. Eventually he is homesick and returns to the little girl who loves him most! Learning opportunities include identifying different landscapes, answer “wh” comprehension questions, and helping understand about being sad to be away from home. What are your top favorites? 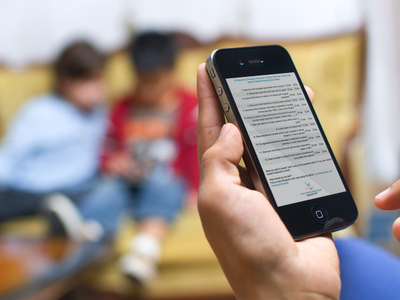 You can find a comprehensive list in our free ebook here. Check it out – if your is not there, please let us know. We would love to add it!